While gong to Nangal, we take a road called Baba Banda Sing Bahadur Marg a little before Chandigarh which allows us to bypass Chandigarh and saves a few kilometers and some time off our journey. The last time also we spotted something interesting which we thought was a gurudwara but didn't stop. This time around we had started very early and had plenty of time so we stopped there to see what it is and it turned out to be the Fateh Burj. 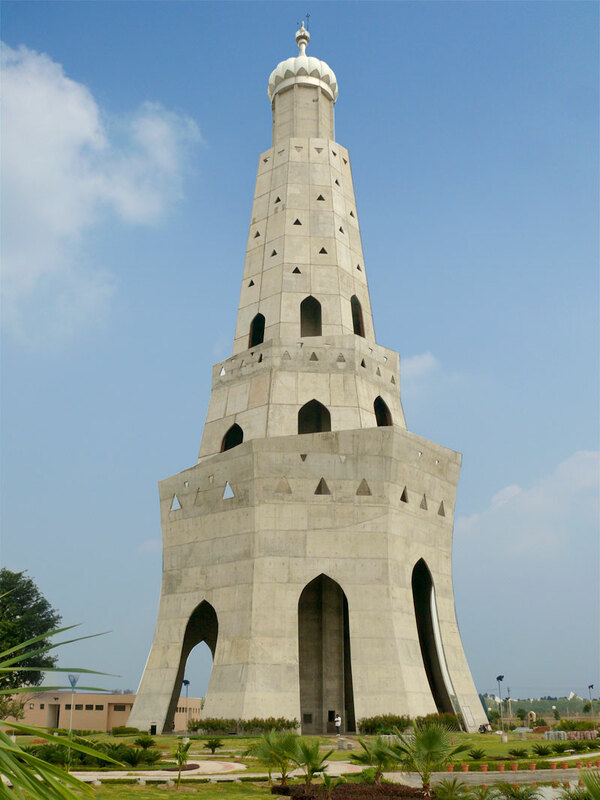 Fateh Burj, at 328 ft, is the tallest victory tower in the city of Mohali, Punjab, India. In 1710, Banda Singh Bahadur won the battle against Wazir Khan, who commanded the Mughal army, in this place. Wazir Khan had come to Chappar Chiri to stop the march of the Sikh army led by Banda Singh Bahadur to Sirhind.